How To Apply On line For Jobs? Tips To Follow Before Applying on line For Jobs, How to apply on-line for Jobs, job tips, Job astrology, astrologer for career analysis on line. In this age of Internet about 50% of companies use the application tracking system(ATS). So it is necessary to make our resume very systematically to get selected in first look. If in requirement there is a demand of covering letter than do enclose it with application. In covering letter do write your qualities and also highlight how you will use your qualities in job. Be sure to use your own words and style. After making the resume read it carefully and try to use the keywords which is required as per the company. Your qualities must be highlighted. Do read the vacancy requirement carefully. if your think you are eligible for that job than only apply for job. This will saves your time and money both. 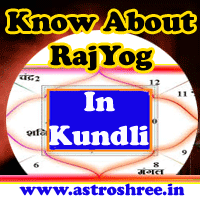 read about How to secure job through astrology? Always sure to fill the application form completely. Don't leave any column empty otherwise your application may be reject. Now a days social networking sites are very popular so don't forget to keep your social profile up to date. It may be possible that some companies check your social profile. Do re check your application before submitting it. Application must be clearly filled and all the needed documents must be enclosed with it properly. Some it happens that even after trying at best level no jobs come in hand. Without job life become hell, frustration make the life bad. In this case it is necessary to take the help of astrology. Only astrologer can tell you what is the reasons of not getting job in spite of having good qualification and capabilities, what to do to get good job, how to get desired job etc. So don't avoid the importance of astrology in life if you really want success in life. If you keep the above points before applying on-line for jobs you will definitely get success. Have a good career.